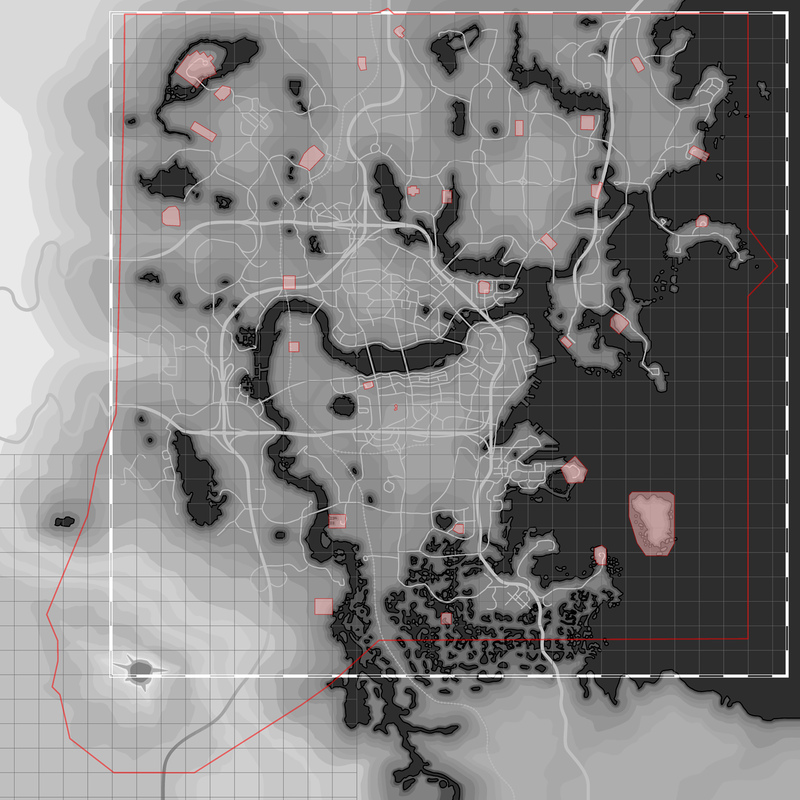 The map above is a Fallout 4 base map that shows the exploreable map boundaries and settlement building extents of every settlement. Super useful if you're trying to figure out where a base begins and ends. Click the Fallout 4 map above to view the full printable version.